KARTET Recruitment 2019 – The Department of Public Instruction (DPI) of Karnataka, has extended the last date of filling application form, now the candidates will be able to register for KARTET 2019 to April 18, 2019. The application form can be submitted at schooleducation.kar.nic.in. The application form for the recruitment of 10611 Graduate Primary Teacher released on March 11, 2019. The candidates who have acquired the Eligibility Certificate of KARTET can apply for the recruitment along with this they must be in the age bracket of 21 to 40 years. The DPI will recruit the candidates on the basis of the written examination that will hold on May 18, 19, 25, 26, 2019. The candidates can get entire information of KARTET Recruitment 2019. Latest: Application Form filling the last date extended. Scroll down to check the same. The Government of Karnataka initiated this recruitment for those candidates who have qualified the KARTET 2018. The candidates can apply for this recruitment. The interested aspirants can check all the dates of events from the table below. 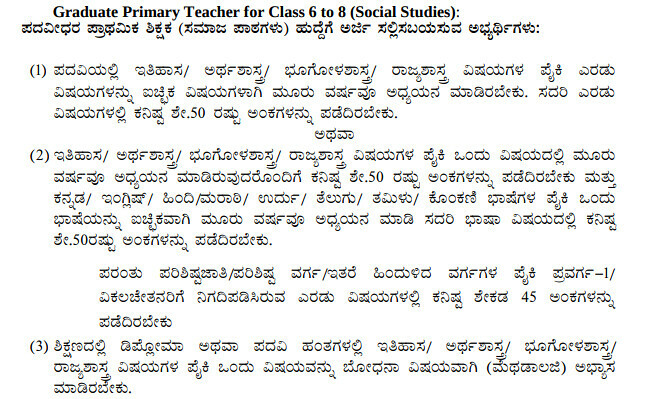 The Department of Public Instruction (DPI) of Karnataka, has introduced 10611 vacancies for the Graduate Primary School Teacher. The candidates can check the vacancy distribution from below the table. The application form for the KARTET Recruitment of Graduate Primary Teachers for Class 6 to 8 is available on the official website of the Department of Public Instruction (DPI). The candidate should note that there are different forms for the candidates belonging to the Hyderabad, Karnataka, And for the candidates coming from different areas of the country. Click here to fill the application form of KARTET 2019 Recruitment Examination 1 (For the candidates of Karnataka and Hyderabad). Click here to apply online for KARTET Recruitment Examination 2. The candidates must fulfill the Eligibility Criteria in order to participate in recruitment. The candidate must be in the age bar of 21 to 40 years. The candidates must have passed the graduation with at least 50% of the marks. After the completion of the application process, the candidates who will enroll their name in time will be issued the admit card of KARTET Recruitment 2019. The admit card will be issued on the official website. The candidates will have to use the username and password to download it. It is mandatory to carry the admit card in the examination hall. The Result of KARTET Recruitment 2019 will be released after the successful completion of the examination. The candidates who will appear in the examination will be able to check the result by entering the login credentails. The candidates who will obtain more than qualifying marks will be treated as qualified. Such candidates will be recruited as Graduate Primary School Teacher 2019. 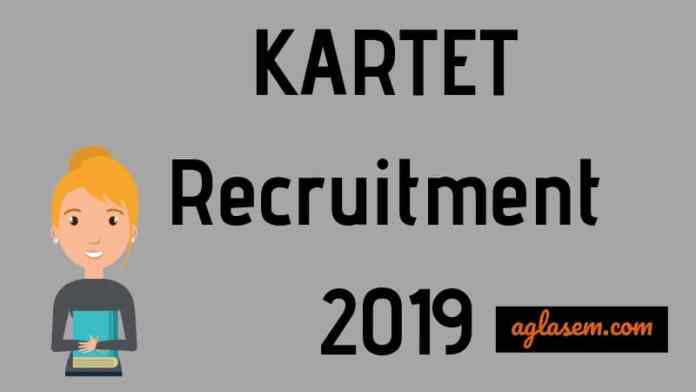 For more information about KARTET 2019 Recruitment download the advertisement.